Add Chatfield Classic to your full series purchase. This option is available for those who purchased the full series prior to April 1st, 2017. Original Transaction code required. Discount code required for 50% off. Enter only one or two events. 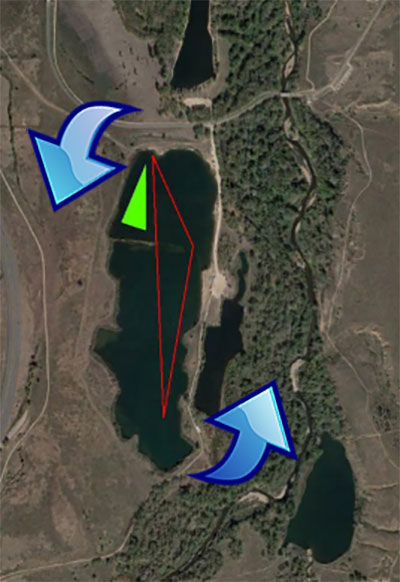 The Boyd Lake Spring Splash, is a late spring Colorado swim race. Participants have the opportunity to swim a 1.2 mile race, a 2.4 mile race or a 5K race. Participants swimming the 1.2 mile as well as either the 2.4 or 5K swim races will receive a discount. Awards will be given out to the top three finishers in each division for each race. Divisions will be both non-wetsuit and wetsuit for both men and women for each race. Hope to see you there! Race starts at 7:00 AM, please be at least 45 minutes early for packet pickup. *1.2 will be held first, participants can choose to add on the 2.4 or 5K distances for only $30. 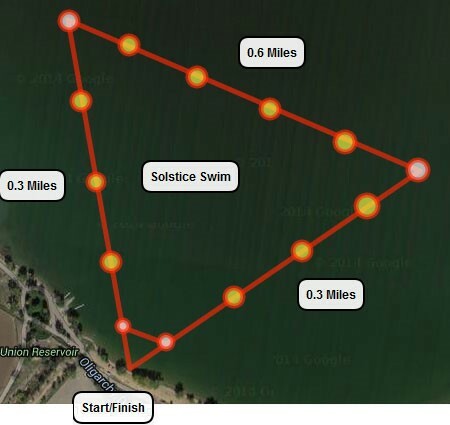 The Solstice Sunset Swim is a swim created in cooperation with the Longmont Kinetics Festival. 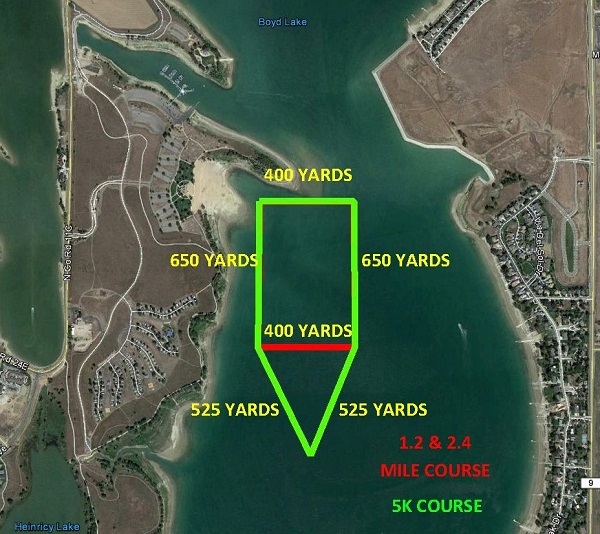 Participants have the opportunity to swim either a 1.2 mile race or a 2.4 mile race. Awards will be given out to the top three finishers in each division for each race. Divisions will be both non-wetsuit and wetsuit for both men and women for each race. 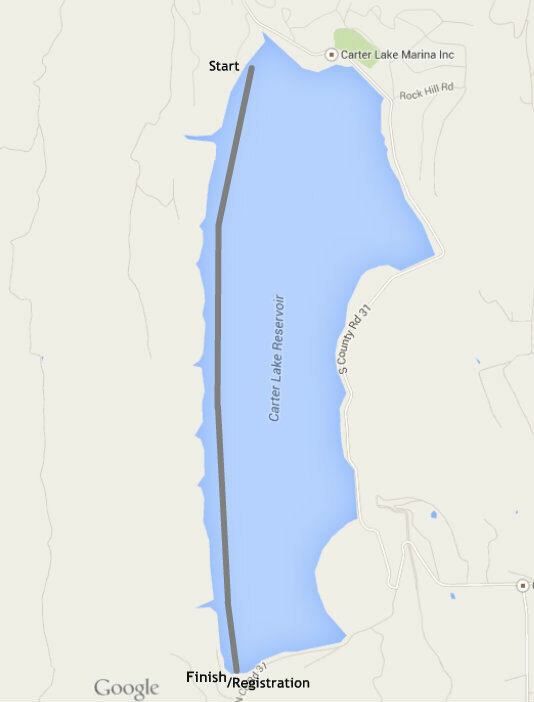 Following the race, there will be a bonfire on the lake. Before the event there is the festival. Details can be found at longmontkinetics.com/. Hope to see you both in the water and in the beer garden! Race starts at 7:00 AM, please be at least 1 hour early for packet pickup and transportation to start line. The Chatfield Classic is a new event for 2017. It will consist of a 1 mile swim followed by a 2 mile swim. In between the two races, there will be a short break to allow people to warm up, warm down and rest. Participants who have not swam at the Chatfield gravel pond in the past should be aware that there is a gravel bar in the middle of the lake. The gravel bar can create some shallow and slightly technical swimming, and also adds some race character. This event will be limited to 250 total participants. Participants may sign up for either the 1 mile swim, 2 mile swim or both. It will be the last event of the year for the Swim Series and overall series winners will be announced at this event. Time cut-offs: All swimmers must be capable of completing the distance you have entered and must be able to complete your respective event within the given cut-off time. Each individual event will be a mass beach start. Depending on the number of participants, there may be waves of people sent based on expected speed. People registering day-of will be included in the last wave. Race packet pickup will begin at 5:00am. When this page loaded, the official time was 8:46:10 AM EDT.